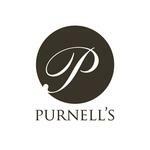 Do you work at Purnells? What did you think of Purnells? Since i saw Mr Purnells cooking on the great british menu i have visited this restaurant twice and each time it has blown me away. His style and flavours are simply irresistable and my mouth is already watering waiting for my next visit. Time to re-evaluate that old cliché about food that looks too good to eat. Glynn Purnell manages to put Birmingham's art galleries to shame with his ambitious plated masterpieces. Despite his Michelin credentials, there's nothing pretentiously starry about Glynn's Cornwall Street restaurant. 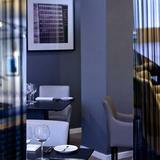 While brazenly facing other top Birmingham eatery Opus, inside the decor is understated and unchallenging. Clean lines and dark wood tables are the perfect foil to the intricate creations coming out from the kitchen. With a TV chef in the kitchen, delectably handsome maitre d' hovering by the door and a meal that looks like something created by Rembrandt/NASA collaboration, you'd be forgiven for thinking Purnell's has a cathedral-like reverence it'd be rude to masticate in. It should. But it doesn't at all. 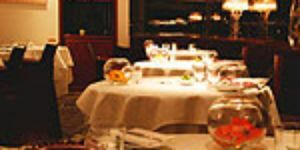 Fine dining has never been so relaxed, helped largely by incredibly helpful staff and cleverly crafted courses that are icebreakers in themselves. If people watching is your thing, swap the unimpressive window view for a corner seat observing reactions to meals. When all the appreciative noises start to grate, challenge your fellow diners to a cheeky bingo session on the back of a napkin, striking off every ‘mmmm’, ‘top nosh’, ‘truly scrumptious’ and ‘did you bring the camera for this dessert, dahling’ that wafts your way on the scent of a smoked paprika honeycomb. 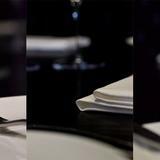 One of the true delights of Purnell's is the menu wording, with dishes listed very simply but with all their component parts, so everyone can act the knowledgeable foodie when their course arrives. It also encourages diners to try each element separately at first, and truly savour the unusual taste marriages. A fine example is the lamb, which is served with the laughably improbable cumin and toffee carrots. Simply divine, it proves root veg doesn’t need see-in-the-dark properties to flog to fussy kids when it can be dressed up with candy flavours instead. Other culinary intrigues include cornflakes with the poached egg yolk and smoked haddock starter, and black pudding crumble to accompany the main course pork fillet. If that puts you in the mood for dessert, don't miss out on Glynn's piece de resistance: the egg surprise (although less of one to viewers of last year's Great British Menu, in which the celebrated pud made it all the way to the grand final.). Served in an eggshell, this cracking sweet definitely isn't one to share. While the well-stocked spirit and cocktail bar is hard to ignore, it's recommended you enlist the help of restaurant manager and wine connoisseur Jean-Benoit Burloux and treat yourself to a bottle from the cellar instead. Many of Purnell's wines are unavailable elsewhere in the city and with a bewilderingly long list to choose from, the knowledgeable Frenchman is invaluable in choosing the right white or a clever claret to complement your meal. It's also worth noting the number of wines offered by the glass, which means diners can enjoy a greater variety of grapes without being limited to buying by bottle. 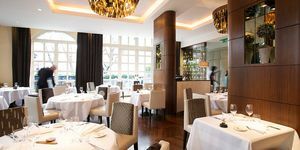 If that sounds appealing, then it might be worth signing up for the seven course wine degustation priced at £38, this is perfectly tailored to enhance the flavours of Glynn's seven course tasting menu (£65). Something that is best saved for very special occasions. Make a reservation. This is one popular eatery, which gets booked up months in advance.